Personal injury litigation against Taser International, the maker of Taser weapons, and police officers has been ongoing for more than a decade. 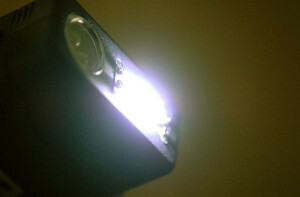 Victims of Taser-related deaths face several hurdles when pursuing a personal injury claim as the result of the death. fails to exercise reasonable care to inform them of its dangerous condition or of the facts which make it likely to be dangerous. Featherall v. Firestone Tire and Rubber Co., 219 Va. 949, 962, 252 S.E.2d 358 (1979). Failure to adequately warn is typically considered a jury question rather than a question of law. The typical failure to warn lawsuit follows this fact pattern: Police officer aims the Taser at the victim’s center of mass (heart), fires the Taser, the electrical current stops the victim’s heart, the victim cannot be revived, and the victim dies. There have been many successful lawsuits filed against Taser International alleging a failure to adequately warn officers about the dangers of aiming at a suspect’s upper chest area. However, Taser International continues to update and improve its instructions, warnings, and training materials, warning officers to avoid targeting the upper chest area because of heart-related litigation. As a result, pursuing a failure to warn claim based on the above facts has become more difficult, but not impossible. A reasonable jury could conclude that the warnings included in the later versions, which, although they do address the possibility of sudden cardiac events, emphasize the unlikely nature of such a risk, and were simply inadequate in light of the dangers posed. One last hurdle in a personal injury action against Taser International is causation. Not only must the claimant prove that Taser International failed to adequately warn of the dangers associated with Taser use, but the claimant must also prove a causal link between the failure to adequately warn and the injury itself. To put it another way, the Plaintiff must prove that IF Taser International HAD provided an adequate warning, the injury would not have occurred. For example, a police officer could testify that had Taser International supplied a stronger warning, the officer would not have aimed the weapon at the victim’s chest – thereby preventing the death and providing a causal connection between the failure to warn and the harm. Police officers are protected by qualified/sovereign immunity. This means that police officers are protected from lawsuits alleging simple negligence (but not gross negligence) as a result of using discretionary decisions, such as responding to an emergency or using lethal force. Where a municipal employee is charged with simple negligence, this Court has established a four-factor test for determining whether sovereign immunity applies. (citation omitted). These factors are: (1) the nature of the function performed by the employee; (2) the extent of the state’s interest and involvement in the function; (3) the degree of control and direction exercised by the state over the employee; and (4) whether the act complained of involved the use of judgment and discretion. Id. In the present case, only the fourth factor is at issue. It is only those acts of judgment and discretion which are necessary to the performance of the governmental function which entitle the actor to qualified immunity. “Gross negligence is ‘that degree of negligence which shows an utter disregard of prudence amounting to complete neglect of the safety of another.’” Wallower v. Martin, 206 Va. 493, 498, 144 S.E.2d 289, 292 (1965). Therefore, there are two ways to overcome the defense of qualified/sovereign immunity in a lawsuit against the police: the personal injury claimant must either show that the defendant police officer was not exercising acts of judgment or discretion necessary for the performance of his job OR, that the defendant police officer was grossly negligent in his actions which caused the personal injury. If you have been injured because of the fault of another, whether it be a police officer, Taser International, or another driver on the road, please give us a call. We would be happy to sit down with you to discuss you claim. We are available to talk anytime by appointment and can be reached 24 hours a day in case of emergency.